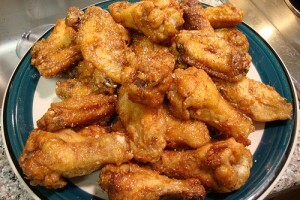 Fried Chicken Wings recipe by Zara Khan at DesiRecipes.com. Put it in a cooking pan with the salt and leave on low heat. Keep stiring the chicken untill it has changed colour and become tender. Put some chicken mix powder in a plate. Dip the chicken wings in the milk bowl and roll in the chicken mix untill fully coated. Deep fry it in the oil. Serve with cutney (garlic dip). Chicken Mix is a kind of seasoning and you can find it in any grocery store. whats this " chicken mix powder" , its not clear ?